High quality service, well-managed, and they keep their work place clean and organized. They are responsive. Quality, they are head and shoulders above the rest. They are very thorough, they really think through what they are going to do before they do it, and they are able to tackle some very difficult jobs. You can rely on them. You know that they are going to do a good job. They are great, very detailed, and they definitely do what they say they will do. They have great customer service. I would give them '10+'. The quality of their work is the best. I have no complaints whatsoever. They make sure everything is taken care of. 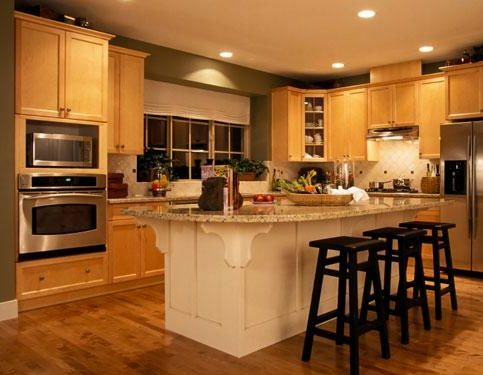 Abrew Repair and Construction offers a wide range of building and repair services to residential and commercial clients throughout the Greater Bay Area. 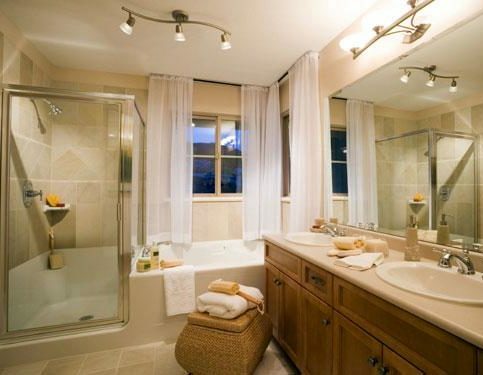 The company’s residential projects include whole house renovations, kitchen and bathroom remodels, additions, structural work, dry rot removal, and landscaping. Commercial projects range from demolition and ground-up construction to full-phase remodels, renovations and maintenance. Abrew Repair and Construction is committed to personalized service, attention to detail, and open communication with customers via regular meetings and updates. This ensures work flows smoothly and is always in accordance with clients’ wishes. Projects are delivered on time and within budget. Abrew Repair and Construction is proactive and stays current on building trends and techniques through interaction with other professionals and industry associations. The result is “an end product of unquestionable quality that always exceeds our customers’ expectations,” says Mr. Abrew. Ron Abrew founded Bay Area contracting firm Abrew Repair and Construction in 1965. 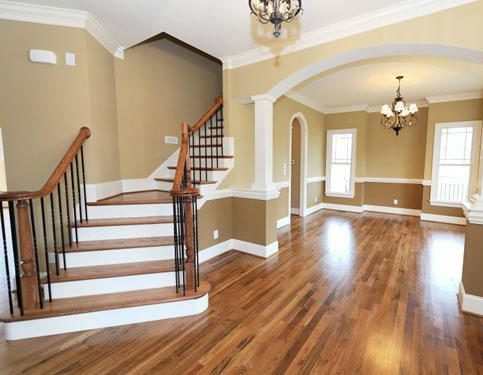 Among its services are dry rot removal and repair, full house renovations (floor to ceiling), kitchen and bath remodeling, landscaping, room additions, structural work, and waterproofing. From your project’s beginning to its end–from planning and design through construction and interior finishes–Abrew Repair and Construction is completely customer-oriented, says owner Kevin Abrew. Abrew Repair and Construction is also the preferred construction firm for a prestigious list of commercial clients, offering design services, build-outs and remodeling, as well as general maintenance and repair. Quality workmanship is always priority number one, says Mr. Abrew, who took over management from his father in 2004. No less important, however, is the company’s longstanding tradition of personalized attention to every client and every project. Since 1965, the company has held weekly meetings with each of its clients; this serves to manage workflow, minimize frustrations and–most important–keep lines of communication open. The objective, says Mr. Abrew, is to create the most positive experience possible for clients. Abrew Repair and Construction is extremely conscientious about protecting your property from dust, debris and any other potential liabilities. They cover all floors thoroughly and, to the greatest extent possible, keep dust levels down. Abrew Repair and Construction is fully licensed and insured. By maintaining active relationships with municipal and state agencies, the company is able to move its clients’ projects forward with the fewest possible stoppages or disruptions. 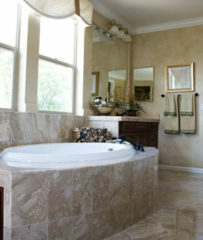 Designate an area in your home where you can leave messages for your contractors. A good place is the entryway, which everyone uses. Set up a message board and attach a set of remodeling drawings and plans, project details, a schedule, contact numbers and any special requests. Before the remodeling starts, you should have the majority of your possessions packed and out of the way. The more you can pack away before construction begins, the less you’ll have to clean up afterward. Move all your furniture and accessories to another area of your home. Some contractors will need to access the basement for plumbing, electrical or heating purposes, so make sure it’s cleared of clutter as well. Your contractors will be walking in and out of your home with tools and materials, so be sure to create an easily accessible path for them to use. Protect any flooring that might be used by your contractors. Create an area to keep your pets in while there are contractors in your home, and make sure your children are kept safe and out of the construction zone. Create a space in your garage to store all extra items. Keeping a dumpster in your yard is also beneficial. You can expect many large trucks coming to deliver your materials, so plan to have a space cleared for them. 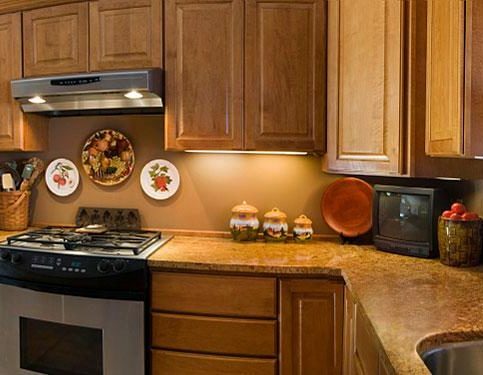 There may be items you want to recycle from your remodel, such as cabinets. Mark these items and create a place to store them. Call your local recycling center and find out what materials can be recycled. Before your remodeling project begins, cover all your furnishings with protective plastic to keep dust from flowing through your home. Keep all doors closed and run the furnace only as needed. Vacuum daily to help control the dust. Set out a broom and garbage cans for contractors to use for easy clean-up. Q: I’m worried about general cleanliness at the job site. Will there be a big mess? A: We start cleaning about thirty minutes before we stop for the day. We take trash and debris off site at the end of every day, usually to dumpsters. Q: What can you tell me about your design process? A: We have a designer working with us. When you work with us, your design consultation is free. 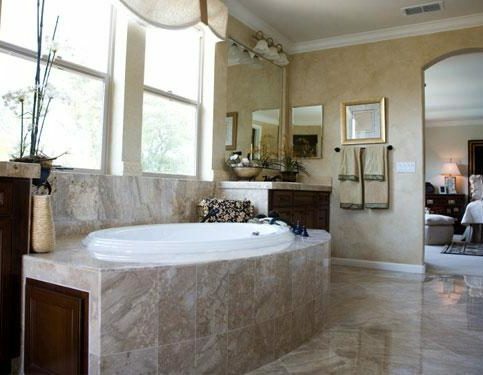 Your designer will help you pick out colors, tiles, countertops, kitchen cabinets, appliances and so on. You’ll get a thorough lesson in design and color theory, or we’ll be happy to take care of all of it for you if you prefer. Q: What steps do you take to protect my property? A: We put protective coatings on carpets, tiles and flooring in all areas where we work. We protect your house from dust. We’re very careful about that. A: We always use quality materials. We’re not going to use anything that’s going to eventually break down or isn’t tried and tested. It’s actually harder for us to put in material that isn’t good quality. Besides, we don’t want to have to go back and fix something later any more than the homeowner wants us to. Q: Do I have to get my own permits? A: You can, but you don’t have to. 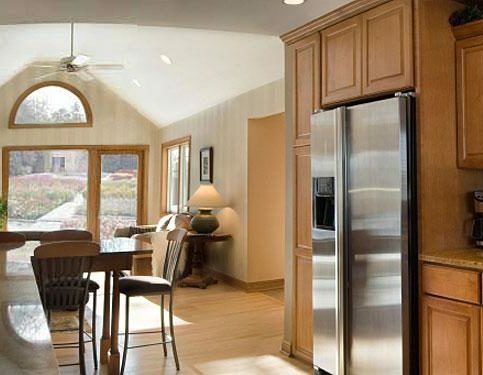 We’ll give you a turnkey construction—everything you require from start to finish. A: We guarantee all workmanship for one year. But sometimes we’ll go back and fix things like caulking that’s coming out in a bathroom, even if it’s six or seven years later. It just depends. We honor our warranty, but we also try to do what’s right—sometimes even if it wasn’t our material that went bad. That’s simply the way we do business. DUBLIN — Every woman should have a toolbox—they’re handy for making quick home repairs and essential for many decorative projects. If you’re planning on hanging pictures, putting up shelving or displaying your kids’ latest creations from art class, start by making sure you have a fully stocked toolbox. Most toolboxes come with basics like screws, frame hangers and pin nails, but you should also include a tape measure so you can organize frames and shelves proportionally across your walls. For placing nails, there’s no substitute for a good hammer, so choose one you can use comfortably and accurately. Next, you’ll need a level, which will help you determine if a frame is tilting or if new shelves are straight. I also suggest including a multi-bit screwdriver in your toolbox. This device comes with a variety of heads, so you’ll always be prepared to work with whatever kind of screw a project requires. DUBLIN — Host, Sarah Rutan: Construction may be a male-dominated industry, but men aren’t the only ones who need toolboxes. To learn more, we’re in Dublin with Shannon Abrew of Abrew Repair and Construction, speaking on behalf of Diamond Certified Expert Contributor Kevin Abrew. Diamond Certified Expert Contributor, Kevin Abrew: Every woman needs her own toolbox. And, ladies, they come in pink. So, things you should have in your toolbox: Okay. Every toolbox, you have to have a hammer. A club, golf club is not a hammer. Ladies, we need a hammer. We can hammer pictures in. Most toolboxes come with some screws, nails, picture hangers, very simple pin-nails. You also have the level so we want that children’s artwork to be nice and level. A screwdriver. Now this screwdriver is handy because it comes with all these bits. So, if you need a Philips or if you need a flat head, it comes with them. Tape measure, you never know when you’re going to need a tape measure. The kids always want to measure something. This box, here, is for those little, tiny, itty-bitty toys, phones, everything that you can never find the right size screw for. So, this is handy to have in your tool box. And these are for those nice little things, bed frames drawers that loosen up. So, ladies, all you need is this small little tool box. And again, it comes in pink. Abrew Repair and Construction : Average 9.7 out of 10 based on 81 unique customer surveys of customer satisfaction. I would tell them that they do really good work and they offer suggestions in terms of design and they make recommendations. I think it is just that personal involvement that he takes in terms of giving you feedback and suggestions on what you want done. He brings his experience to every job. It is absolutely the highest level of service, but they have a lot of other clients, so it might take 4, 5, or 6 months to get them to come out. When they come out, it is miraculous and it is perfection. Architectural competence, Kevin is a journeyman craftsman and exceptionally competent and I will work with him for the rest of my existence, he is great. That they are very reliable, and they do good work. He is very helpful. He helped me and my husband a great deal. He went out of his way to help us with things that were not construction related. They are just on time, they do what they say, and they are just a good company. They just did a great job on my house. The owner, Kevin, is terrific to work with. Never in my life have I worked with a more professional, top-notch, hardworking company than Abrew. I don't think I ever will again, since I've found them. They get an 'A++' for sure. They completely know what they're doing, and they do a darn good job. They're conscientious, competent, reliable, hardworking, and professional. I was impressed with their communication skills and how they always seemed to keep me in the swing of things. They are the go-to place. They are very neat and thorough. They are very businesslike, they get the job done, they are very clean, and they are just really nice people. Honesty, and I was so happy. They are an excellent resource for the service they provide. Kevin Abrew is a great person. He is honest, forthright, and he tells it as it is. They completed the job efficiently and on time. They got the job done under the price they had quoted me. They do excellent work, and they are reliable. They do good work, and they are reliable. I even used them at my job. They're reliable, competitive, and very honest. They have great customer service. I thought they were honest and friendly. Everything went smoothly, and I'm completely satisfied. I'm so happy with the work that they did for me. They did a beautiful job with the entire remodel of my kitchen. Everything turned out the way I wanted it, and it was probably even better than I expected. I liked the outcome of the remodel that they did, and also, I really liked working with Kevin. He was professional, honest, courteous, and always very quick to respond. The design that he and his crew came up with was fantastic. Honest, very ethical, quality work, and great follow-through, if you are not happy, he will fix it. I just really trust him. How he thoroughly explained everything and made me feel comfortable, I am very satisfied. Kevin is great. He is very customer service oriented.